Home » Insurance » Life insurance claim denied for misrepresentations. 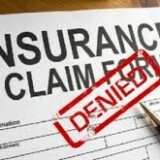 Life insurance claim denied for misrepresentations. On March 3, 2015, the Nova Scotia Court of Appeal upheld the denial of a widow’s application for life insurance benefits following the death of her husband, the insured, because the insured had materially misrepresented his medical history in his application for life and disability insurance. In Linden Estate v. CUMIS Life Insurance Co., an insured applied for life and disability insurance. The application included a supplementary health questionnaire to be completed over the telephone. The questionnaire included questions about the insured’s medical history. The insured was asked whether he had experienced any psychological or psychiatric disorders such as psychosis, anxiety, or depression, and whether he had ever received or been advised to have treatment for the use or abuse of drugs. The insured admitted that he suffered from depression; however, he did not disclose that he had been previously hospitalized for suicide attempts, including a drug overdose. The insured was also asked whether he had ever been a patient in a hospital, medical facility or treatment centre, and answered “no”; however, the insured had been a patient of all three types of facilities at different points in time. Shortly after the insurer issued the policy, the insured was hospitalized after a suicide attempt. He suffered recurrences of depression thereafter and died of a heart attack just over a year after purchasing the policy. The insured’s widow applied for life insurance benefits following his death. When the insurer denied benefits, the widow sued the insurer. The widow’s claim was dismissed at trial, as the judge found that the insured had materially misrepresented his medical history in the questionnaire. …it is a question of fact in each case whether, if the matters concealed or misrepresented had been truly disclosed, they would, on a fair consideration of the evidence, have influenced a reasonable insurer to decline the risk or to have stipulated for a higher premium. The Court of Appeal held that the trial judge did not err in determining that the insured had made material misrepresentations to the insurer in the questionnaire. The insured had answered “no” to unambiguous questions, and the insured’s medical records clearly indicated that the correct answer to some of these questions was “yes”. These, among other answers, were held to be material misrepresentations. The appeal was dismissed.